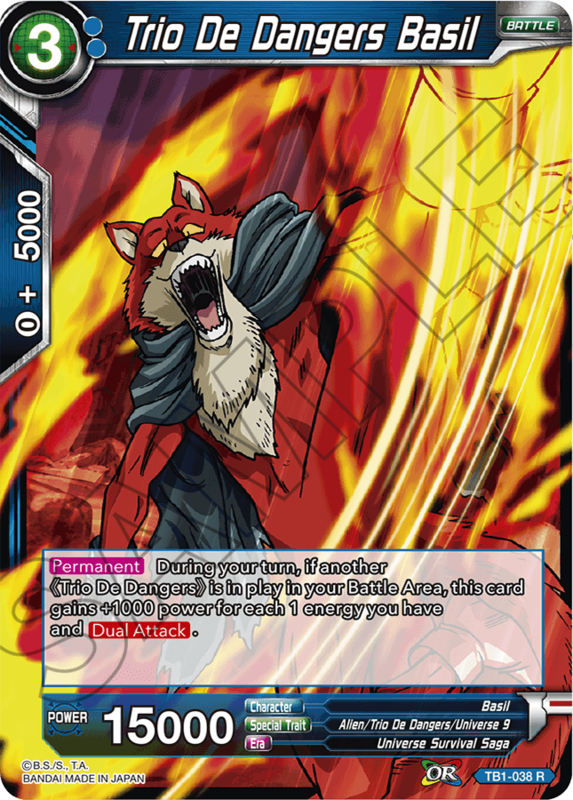 Let’s take a look at a few blue cards from TB01! Blue in The Tournament of Power is mostly focused on Universe 9 !! Beware of the Trio De Dangers! 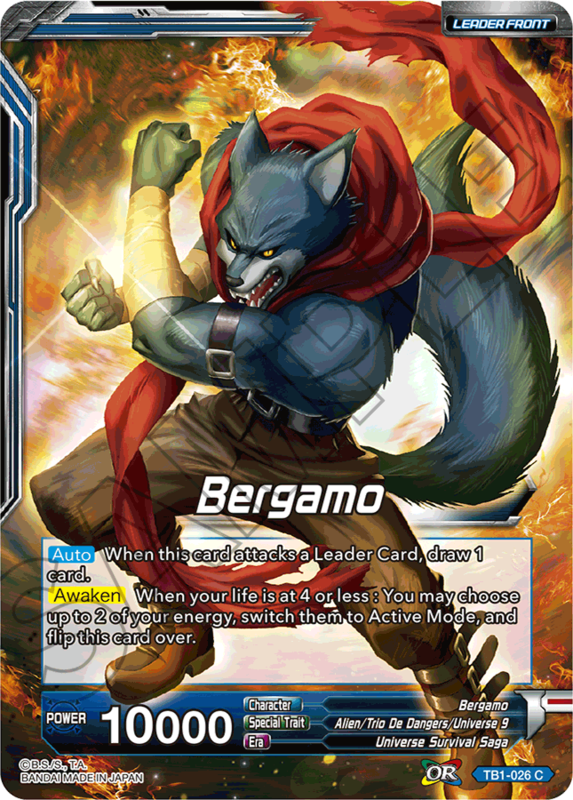 Form the Danger’s Triangle with the Leader Card Bergamo!! 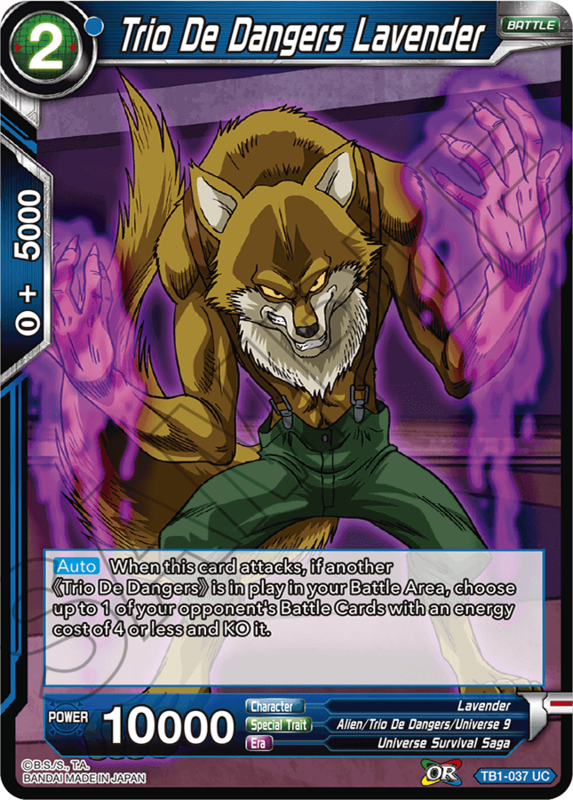 Unlock all kinds of new combo tricks with this Leader! 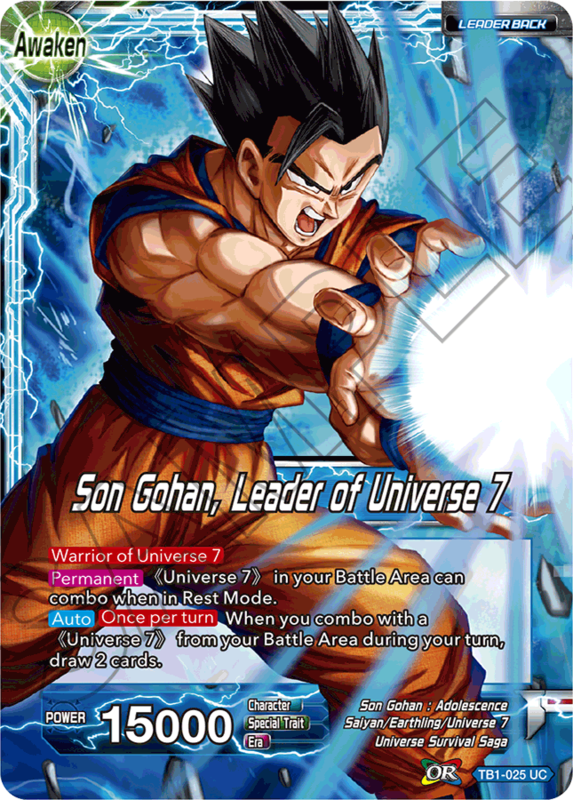 Work as a team to win the battle just like Universe 7! 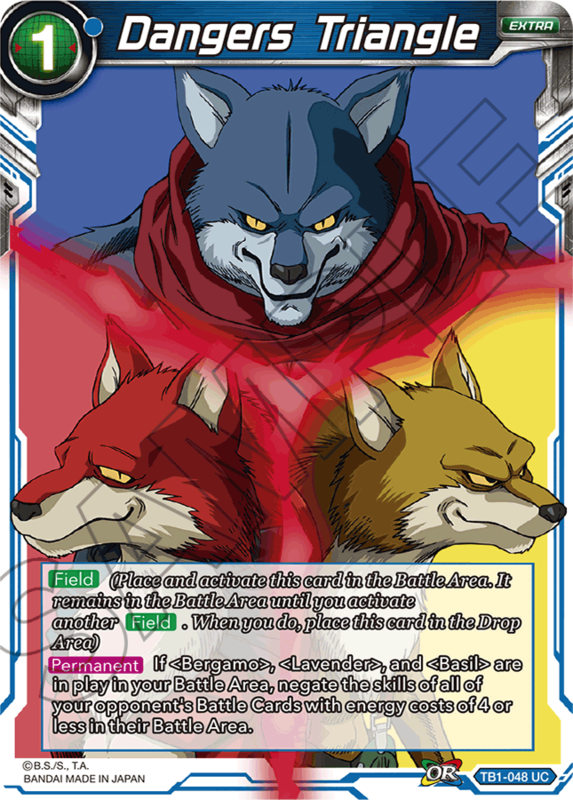 These cards become more powerful when there are other Trio De Dangers in the Battle Area! 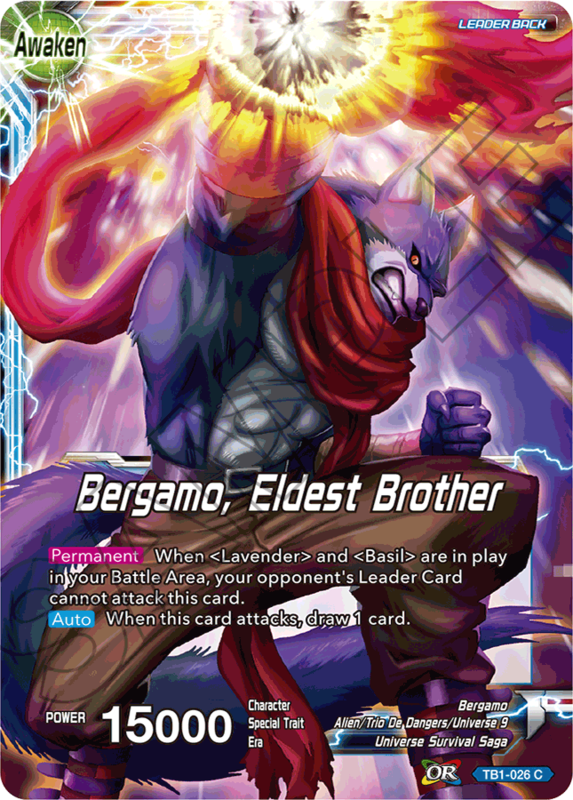 Just like the Leader Card, Bergamo works as a team with Lavender and Basil! When combined, there is nothing incapable to the Trio! 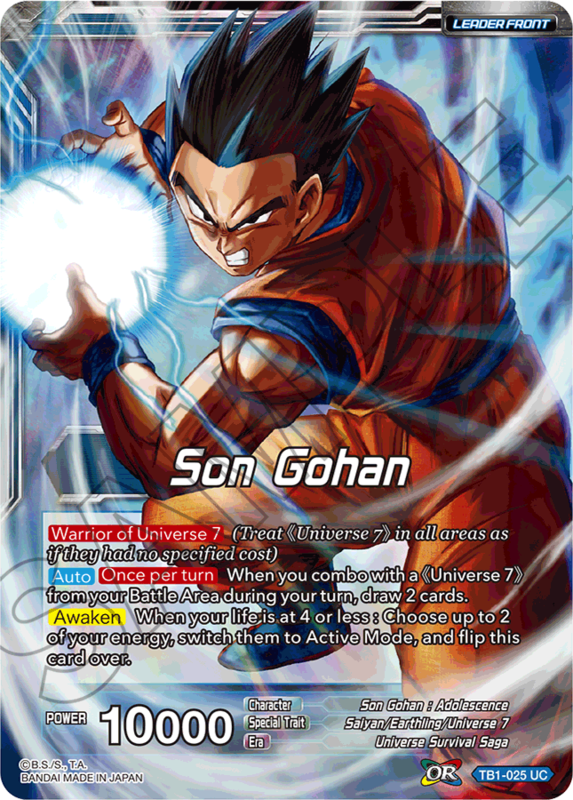 This card unleashes its powerful skill when all 3 members unite! 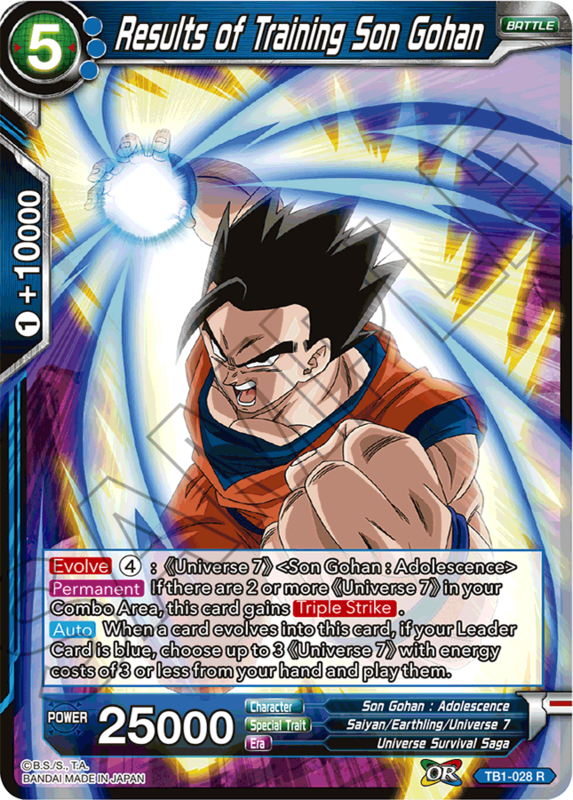 This card is one of the best cards you could add to a Gohan Leader deck! 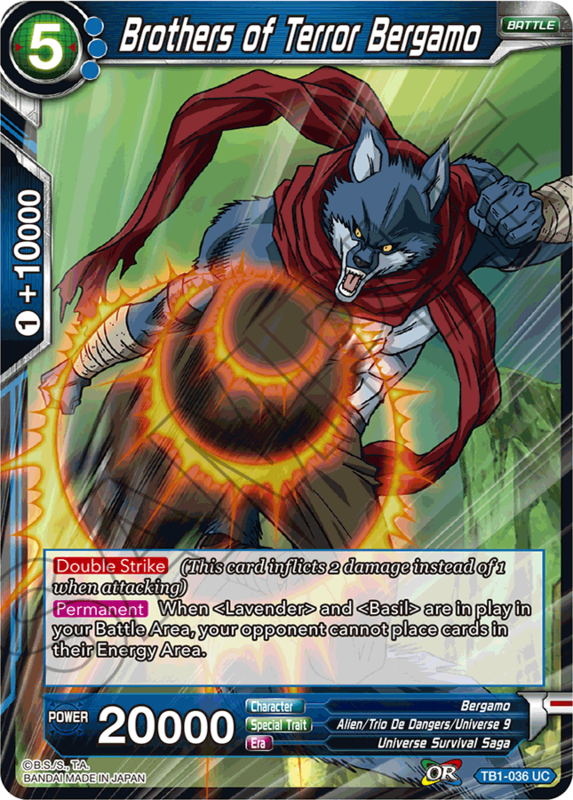 Rally the forces of Universe 7, unleash the combos, and win the match for the universe! 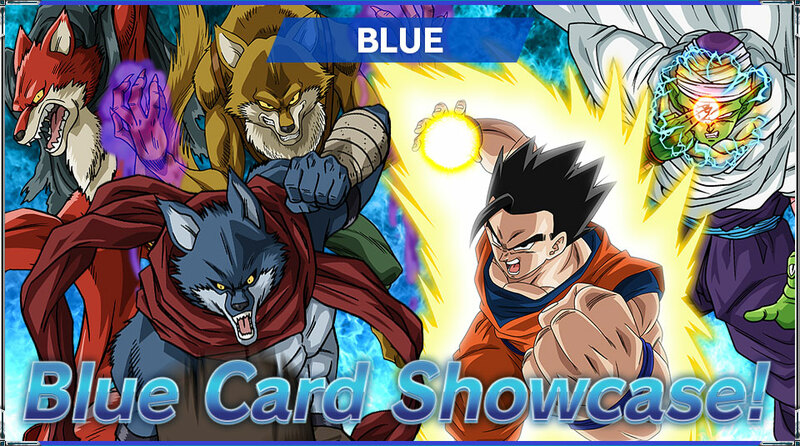 Blue features cards from Universe 9! Behold their powerful combinations, just like in the show!